The Valley Private Hospital in Mulgrave, Victoria, recently purchased the Mazor Robotics Renaissance System with the aim of becoming the leader in spinal surgery in the state and providing surgeons and patients access to the benefits of robotic spinal surgery. This is the first robotic spinal service in Victoria – the second in Australia – and represents the latest in clinical technology to assist surgeons with the technical demands and complexity of spine surgery. “Acquiring Mazor Robotics Renaissance is part of our continuous commitment to delivering the highest standard of care for our patients, ensuring that they receive the best treatment possible. 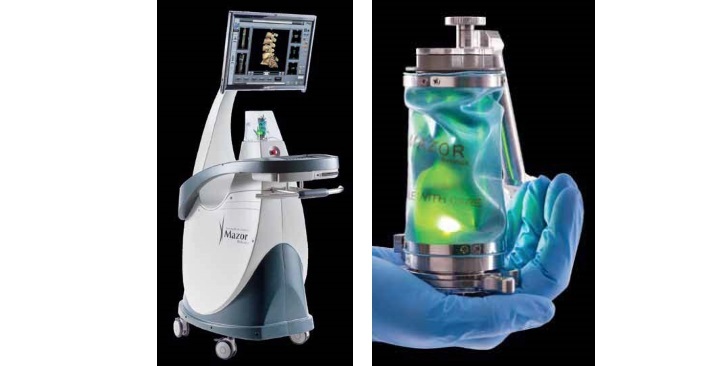 Mazor Robotics technology has been clinically validated to ensure 1.5mm accuracy for increased patient safety compared to freehand spine surgery,” said Neil Henderson, CEO of The Valley and South Eastern Private Hospitals. Mazor Robotics is at present said to be the safest and most accurate minimally-invasive technology for spine procedures. Its advantages are notable in a wide variety of clinical applications, from minimally-invasive procedures to complex spinal deformity correction. Surgeons at The Valley Private Hospital have completed a number of cases using this system and are now offering safer spinal procedures with lower complication and faster recovery to suitable patients. It may also reduce the use of fluoroscopy in minimally-invasive procedures. Before entering the operating theatre, surgeons use Renaissance to pre-plan the optimal surgery in a CT-based 3D simulation of the patient’s spine, much like GPS is used for navigation. During surgery, the robot guides the surgeons’ instruments to the precise pre-planned location via a track-like system that is attached to the spine.